with no risk and no investment. simply and free of charge. Try out trading on the Demo account risk free. With our Demo account you can try out trading on the stock market, completely risk free and free of charge. The Demo account lets you have current data from real markets to practice your trading strategies. Register now and try how it feels to trade on stock markets. Simple training videos to help you at when you are beginning to trade online on the market using the trading platform Metatrader 4. 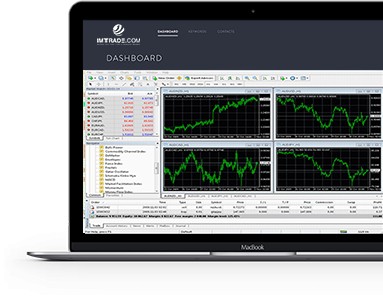 Application MetaTrader 4 free of charge for your PC, MacOS, Android or iOS. And rapid access via the web interface MT4 Webtrader. Customer support in English for dealing with urgent problems, accessible 24 hours a day, 5 days a week. Online webinars, seminars, and training sessions. For improving your skills in trading and operating business platforms. Daily overviews, surveys, and analyses from our experienced specialists. Your personal trading specialist will always be at your disposal, ready to help and advise with your portfolio. Contact us! We will gladly help you with registration and answer any questions you may have. Try out the DEMO account risk free!